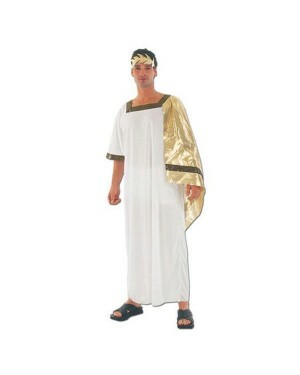 Celebrate the elegance of the Roman/Grecian period with one of our fabulous Toga Fancy Dress Costumes! 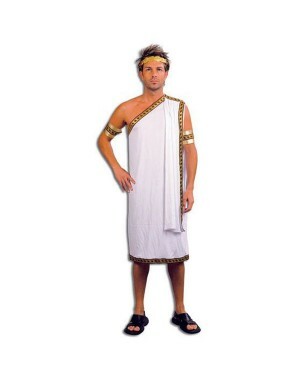 Ideal for Historical and Ancient themed fancy dress, you can’t go wrong with a Toga, it’s simplistic yet stylish, and with so many variations there are lots of different options to choose from. Toga’s for both men and women; you can opt for a well-established, wealthy look or go for more of a civilian option. White is the primary colour in our Toga Fancy Dress Costumes, not only does it represent purity, to wear it, also portrays a certain level of wealth and status. 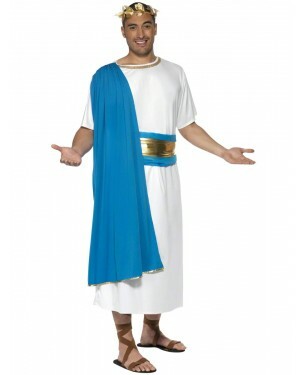 Toga Fancy Dress offers the chance to choose your worth, do you want to be a Goddess in this simply stunning costume, or do you want to opt that’s even more luxurious with this Helen of Troy fancy dress costume. Alternatively do you want to go as with a little more subtlety such as this gorgeous Roman Woman Costume. Moving on to the men, Toga Fancy Dress is slightly different as some men would go out and battle whereas others would not. There is still an importance ranking amongst them, you can choose the ‘every day man’ option by going for the Caesar Toga or work your way up the ranks and dress as a Roman Senator in this vibrant toga - the options are endless! 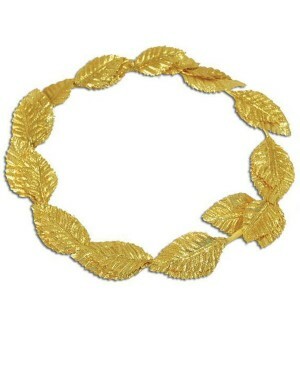 Check out our Roman & Greek range for accessories and even more costumes!